Uppsala is one of Sweden’s most historic cities; squatting on the banks of the River Fyris, it sophisticated, leafy and dominated by its landmark castle, cathedral and university. 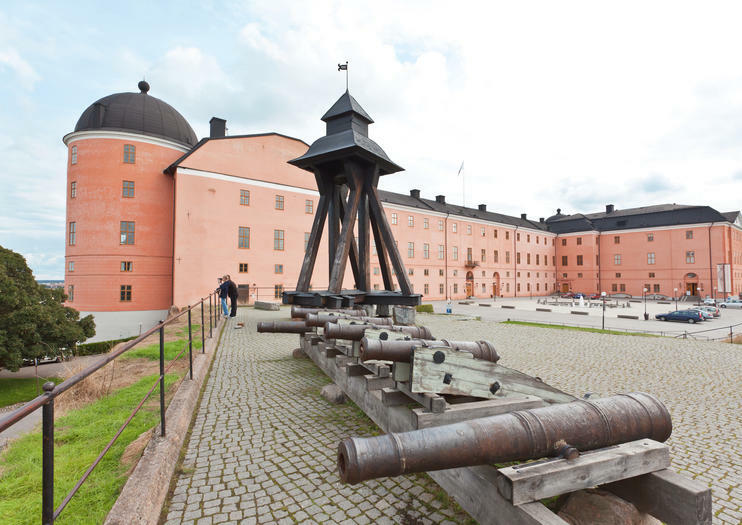 The royal castle overlooks the town from its perch at Kasåsen and began life in 1549 at the behest of King Gustav Vasa, who built his fortified home in neat, symmetrical Renaissance style. Over the centuries, it has seen its share of ceremony, intrigue and violence, from coronations to political assassinations and abdications. The shocking murder of three members of the Sture family by the despotic and schizophrenic King Erik XIV took place here in 1567 and their tattered doublets and breeches are on show in Uppsala Cathedral. The castle was virtually burnt down in 1702 – and much of its fragmented remains plundered to build the Royal Palace in Stockholm – but was subsequently reconstructed in 1740 with its dusty pink façades punctuated by towers on each wing. Today it has a distinctly more peaceful role as the home of three museums: Uppsala Art Museum, where funky modern ceramics from Uppsala Ekeby pottery are displayed along with contemporary Swedish artwork; the Fredens Hus (House of Peace), which highlights social and political conflicts and attempts to resolve them; and the fascinating Vasaborgen in the ruined bastions of the original castle, where the dark deeds of past Swedish monarchs are recounted in graphic detail. Drottning Christinas väg 1E, Uppsala. Open Tue, Fri–Sun 12pm–4pm; Wed 12pm–6pm; Thur 12pm–8pm. Admission free. Best accessed on foot.